It is unbelievable how time flies. 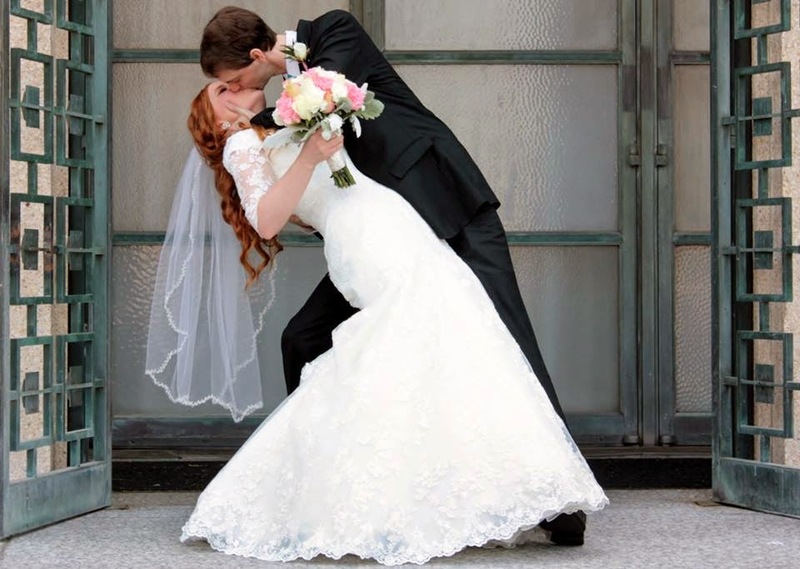 Angela and I had our 1st wedding anniversary yesterday. One year ago yesterday we made our unstoppable team official. That day my best decision of my life was realized. I give my last name to my intelligent, beautiful, and capable wife Angela. I wanted to make our anniversary something special to commemorate our time together and show her how much I look forward to our years to come. So yesterday I surprised Angela by not telling her what I had planned for us all day. When we woke up I painted her nails into space nails. I used a black nail polish and on top I used a polish with sparkly dots that look like stars. Then we drove down to the temple where we got married. 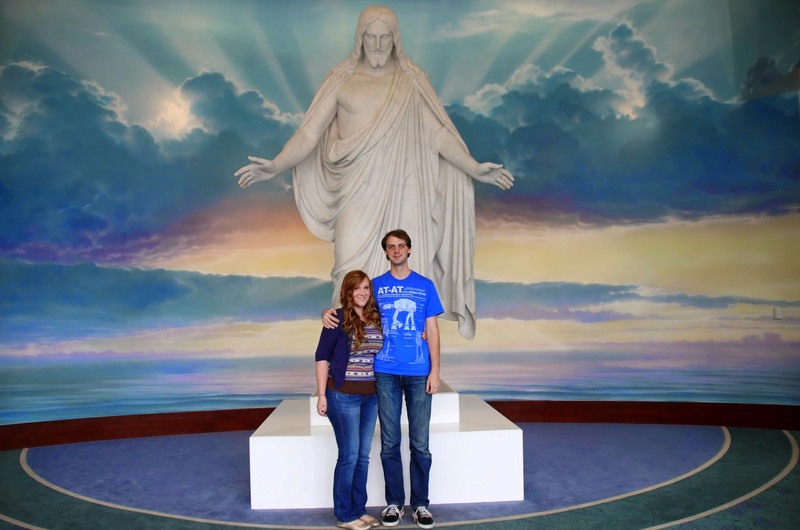 One of the missionaries at the Visitor's Center was nice enough to offer to take our photo in front of the Christus statue. It was a wonderful day! There were scattered clouds and it even rained a little on us, and we love rain! After our short time at the temple we made our way to the Griffith Observatory where Angela's space nails started to make sense. We ate Milky Way chocolate bars. And played with all the space scales. 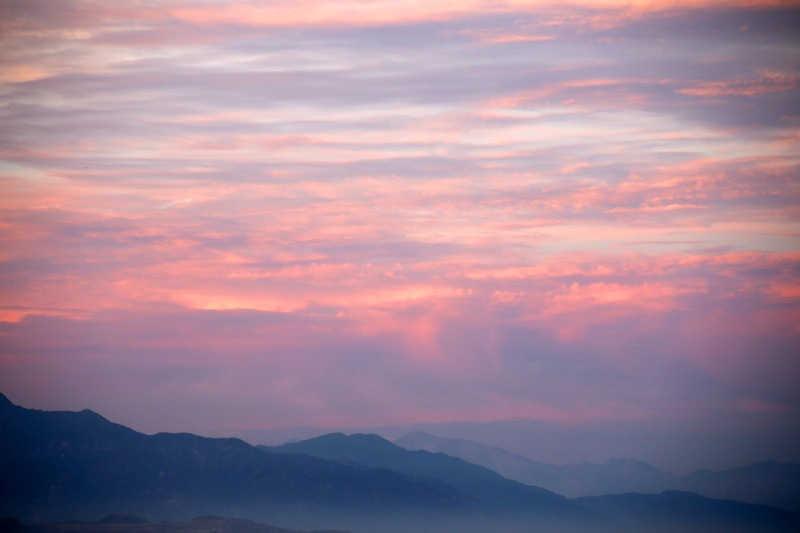 And soon it became sunset. After the sun set I presented Angela with her anniversary gift. 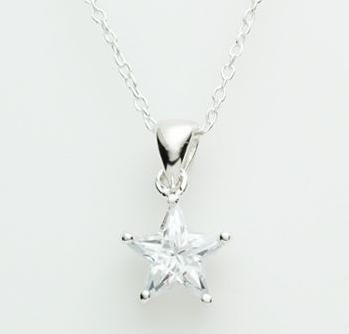 First I gave her a star necklace. I told her "I named it our Love Star after our star in the sky." Angela was confused that I said this because she knew of no such star. 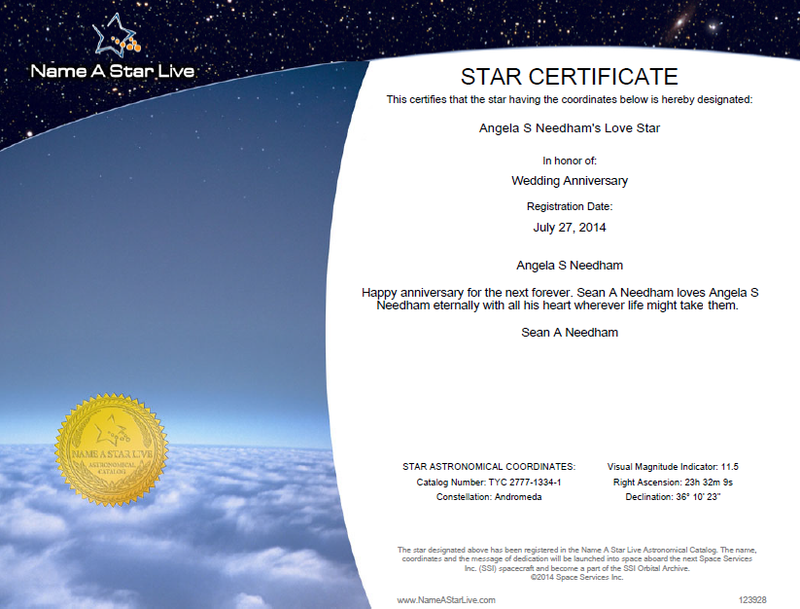 I just smiled and handed her this framed star certificate of our officially named love star in the Andromeda galaxy. She told me it was "the perfect anniversary gift" and we spent the rest of our time just cuddling and looking up at the stars. And then to we took our drive home. When we got home we had our traditional leftover cake from our wedding. We cut it together hand in hand just as we did on our wedding day one year ago. It was a wonderful day and I know we will have many more wonderful days to come.